With luxurious living areas and XXL bedrooms, FastPitch™ Air Valdes 6 XL tent is a perfect for large groups of friends or families. 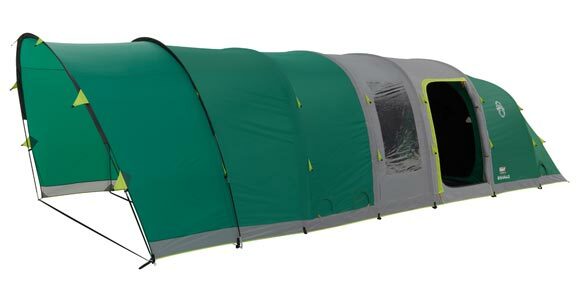 With Coleman FastPitch™ technology, these extra-large tent can be effortlessly and rapidly pitched by only one person with the pump provided. The super-stable Valdes tents are feature-rich to enhance your camping experience, including the patented BlackOut Bedroom® technology to ensure a longer night’s sleep and the ingenious hinged door for easy entry and exit to the tent. Step 1: Push in the pin and release. The pin must be in exteded position for inflation.